This Situation Update describes events occurring in Thandaunggyi Township, Toungoo District during the period between August and November 2017, including information about education, healthcare, livelihood, military activity and land confiscation. Of the Burma/Myanmar government teachers that were assigned to teach in remote areas, some teachers bribed government officials and paid money to the township education administration to be exempted from teaching in rural areas. Although the Burma/Myanmar government Ministry of Education has stated that it is unlawful for teachers to teach extra classes for profit, some teachers pressured students to come to their houses to attend extra classes. The Burma/Myanmar government recruited health workers and built new clinics in rural areas but there are still not enough health workers and medicines for the needs of the population. Therefore, health workers in rural/remote areas buy medicines with their own money and treat the patients, and the patients have to pay for the cost of the treatment. 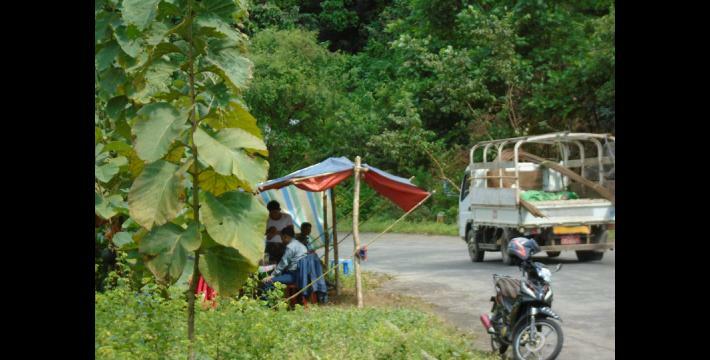 Due to abnormal weather conditions and the destruction of plantations by rodents, seasonal crops such as durian, cardamom and dog fruits gave less fruits compared to the previous year, so villagers face difficulties in security their livelihoods. Bu Yin Naung Military training school held a Tatmadaw Company Commander training from October 19th to 21st 2017 and shot heavy weapons, which hit the villagers’ plantations; Villagers were not informed prior to the training. Bu Yin Naung Military arbitrarily confiscated 1851 acres of villagers’ plantation land in Shouk Pin Chaung village tract, Htantabin Township, Toungoo District. Villagers have responded to this case by submitting a complaint letter to respective government departments, including Ministry of Defence. The following Situation Update was received by KHRG in November 2017. It was written by a community member in Toungoo District who has been trained by KHRG to monitor human rights conditions. It is presented below translated exactly as originally written, save for minor edits for clarity and security. This report was received along with other information from Toungoo District, including seven interviews, 125 photographs and 7 video clips. This Situation Update describes events occurring in Thandaunggyi Township, Toungoo District between August and November 2017. It includes information about education, healthcare, livelihood, military activity and land confiscation. New schools were built in Thandaunggyi Township, Toungoo District. Some of these schools were built by the contracted companies that were authorised by the Burma/Myanmar government without the participation of local community members. These schools were constructed in the areas where the [Burma/Myanmar] government can provide services to villagers. In some villages, there should be post-primary schools and sub-middle schools but they were not built. In some KNU and the Myanmar government mixed controlled areas, particularly in remote areas, there are some schools being built and teachers are recruited [by both governments]. However, even if they have recruited teachers, there are not enough teachers in some villages. Moreover, there are no replacements for teachers when the issue of teachers’ turnover arises. This severely affects children’s education. Government teachers are regularly assigned to teach the children in remote areas. A teacher from Maung Nweh Gyi village, Thandaunggyi Township said that some teachers go to teach in rural/remote areas according to their assigned duty, but some teachers make an agreement to pay money to the township education administration to be exempted from teaching there. A new education system was introduced in the 2017-2018 academic year. Students from KG [Kindergarten] to Standard One do not have to read or write in their class [previously they did]. They are taught by singing songs, dancing and drawing pictures but they are not taught with textbooks. But, they are distributed notebooks just to draw the pictures on it. Villagers have no idea how long this system will last. Although the government Ministry of Education legitimated teaching tuition [extra classes in the purpose of making money] is unlawful, some teachers gave pressure on students to come to their houses to attend extra class. Some students were afraid to be scolded and ignored by their class teachers if they did not attend extra class at their class teachers’ houses even if they did not want to and wanted to attend other outside extra class. Due to this, some students did not attend extra class anywhere, while others did. Some teachers are making extra income by organising tuition classes in their houses. Thandaung Myo Thit High School principal [Daw San San Myint] wanted the students to gain knowledge in the class but some teachers who graduated from Sagai Development School [who are recruited to teach at Thandaung Myo Thit High School] found it difficult to teach Standard Ten students. There are only a few teachers who graduated from college/university and so high school students faced difficulty with their learning because of there are not enough high school teachers. The Thandaung Myo Thit High School principal met with students’ parents twice a month and discussed about the quality of the students. However, as some teachers had to teach the subjects that they did not have the capacity to teach, this caused many problems for students’ learning. Ministry of Education provides education support for students [in Toungoo District]. Middle school students have received 8,000 kyat per month ($6 US) and high school students have received 10,000 kyat ($7.4 US) per month. Students who have received this support must have at least three siblings enrolled to the same school. If the sponsored students do not perform well academically, their parents were asked to meet with the teachers. Those students and their parents were told in front of other students and parents: “You come to take the sponsored money regularly even we don’t notify you but you do not try hard and want to learn.” Some parents felt uncomfortable with it [when they were told this in front many people]. The school materials such as text books, pens, pencils and so on that are distributed by the Ministry of Education were not enough [for the needs of the students] so the parents had to buy it from outside stationary shop. Some parents did not attend the appointments because they knew that they will be scolded by teachers if they attended. Villagers in remote area, especially in KNU controlled areas, want their children to be educated persons so they gathered and built schools with bamboos by themselves and hired teachers self-reliantly. Some villagers had financial problems so they could only provide teachers’ salary by the season of cardamom plantation. Since the schools in remote areas are not recognised by the Burma/Myanmar government, students face difficulty with their further education after they finished Standard Four from their schools. Therefore, students who finished primary education continue their study to middle schools and Htoe Lwee Wah High School in Htantabin Township and Thandaunggyi Township, Toungoo District. As a result of long distance and families’ livelihood difficulty, some villagers stopped their further education. Self-reliant schools and KNU schools that are located in KNU controlled areas are supported by the KED (Karen Education Department). However, the support of school materials such as text books, pens, pencils and etc. are not enough so students’ parents had to buy it by themselves. In the KNU schools, some curriculums are similar [with Burma/Myanmar school curriculum] but some are not. Self-reliant schools that built by villagers are learning both of the KNU and the government Ministry of Education curriculums. There are nursery schools opened in both of the KNU and the government controlled areas and all of the schools are self-reliant. Even though Karen language is taught in both KNU and the government controlled areas, students are only allowed to learn the Karen language at unofficial school time which is either at 8-9 in the morning or 3-4 in the afternoon. As there are many subjects in government schools, Karen language is only allowed to be taught from Kindergarten to Standard Two. Karen language teachers receive 60,000 kyat per month ($45 US) from the Burma/Myanmar government and 6,000 baht per year ($186 US) from KED. The sicknesses that are commonly found in Toungoo District include influenza, cough and runny nose caused from abnormal weather and other forms of common sickness. There are three hospitals in Thandaunggyi Township, which are Thandaunggyi Civil Hospital, Leik Tho Civil Hospital and Baw G’Lee Civil Hospital. Government clinics are mostly located in the villages that are on the side road. Even though they recruit health workers, there are still not enough health workers. The government has started to build clinics in rural and remote areas but they do not provide enough medicines. Therefore, health workers in rural/remote areas buy medicines with their own money and treat the patients, and the patients have to pay for the treatment cost. As villagers have to pay for healthcare services in hospital, villagers usually get treatment from local private clinics [which charge them less than hospital]. People who have enough money mostly go to private clinics and hospitals [which are expensive with more special care]. 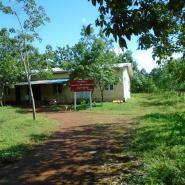 There are private hospitals in Toungoo Town, which are Thaw Thi Hkoh Hospital, Taw Win [Royal] Hospital and Kaytumadi Hospital. Doctors who are working in these hospitals are also working in Toungoo Civil Hospital. The issue is that these doctors are not motivated during their shift in civil hospital but they work harder in private hospitals. Even though they are government full-time staff, they are not on their duty fully. In fact, they are working in private hospital for the rest of the time. Pregnant women and women in need of abortions are now mostly going to Thandaung Myo Thit Hospital in Thandaunggyi Township. The Ultrasound/x-ray machines in Thandaung Myo Thit Hospital do not work well. When patients need to have an Ultrasound/x-ray, they [Thandaung Myo Thit Hospital staff] transfer the patients to Kaytumati Private Hospital or Taw Win [Royal] Hospital instead of sending the patients to Toungoo Town Civil Hospital. It is free to check with Ultrasound/x-ray in the civil hospital but not in the private hospital. Some villagers that have financial problems, and need to be checked with an Ultrasound/x-ray, decide to not continue to check themselves at all but instead, they leave the hospital and get treatment from traditionally herbal medicines. Health workers in some remote areas are not provided with accommodation by the government. Health workers also do not have clinics to live in so they have to stay in villagers’ house and give treatment by travelling around the village. Villagers do not get free treatment except for vaccinations. On October 26th 2017, a Maung Nweh Gyi female student was bit by a dog with rabies but the health worker in the village did not have rabies vaccination. Thus, she was sent by motorbike to Thandaung Myo Thit. However, Thandaung Myo Thit Hospital also did not have the rabies vaccination medicine so the hospital ordered the medicine from Toungoo Town. The two medicines were bought with 25,000 kyat for each ($18.7 US). Rabies protection medicine had to be bought in outside pharmacy as the hospitals did not have the medicine. A teacher from Maung Nweh Gyi village, Thandaunggyi Township, Toungoo District had a problem with her pregnancy in the village, and then she was carried by villagers to the road where villagers can get access to transportation. Then, she was sent to Toungoo Hospital. Villagers in remote areas do not have knowledge and skills how to use medicine; moreover, they also do not have access to any health awareness training. In some villages, the villagers who did not pass high school matriculation are trained by the Christian religion group related to medical training. Villagers who completed this training work treat the patients in their villages. At times, some patients died from misuse of medicine injection. On September 17th 2017, a health worker who finished a six-month medical training gave saline injection to her sick father and her father died. Villagers in Maung Nweh Gyi village tract, Maung Nweh K’Lay village, Khon Taing village tract and Leik Pya Gyi village tract rarely receive healthcare services from both the Burma/Myanmar government and the KNU. As the villagers have insufficient access to healthcare services, they face problems with their health. 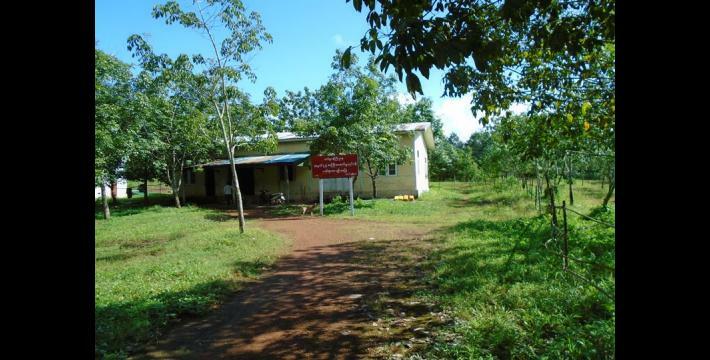 However, villages in Maung Nweh Gyi village and Nan Chein Kwin village of Maung Nweh Gyi village tract have received better healthcare services from the Tatmadaw since the Tatmadaw established their army camp in 2006 in these villages. However, they [Tatmadaw healthcare service] can only treat common sicknesses. Villagers have to go to hospitals in Toungoo Town and Thandaunggyi Town [for serious sicknesses and diseases that cannot be cured by the Tatmadaw healthcare service]. A villager from Nan Chain Kwin village could not afford to pay for the medical expenses to receive treatment in the towns so he just got treatment from Tatmadaw military health service. However, he has not recovered from his sickness yet. Now, he is getting treatment from the KNU healthcare service at a KNU check point, which is located between Nan Chain Hkwin village, Maung Nweh Gyi village tract and Shwe Nyaung Pin village, Taw Pyar Gyi village tract. 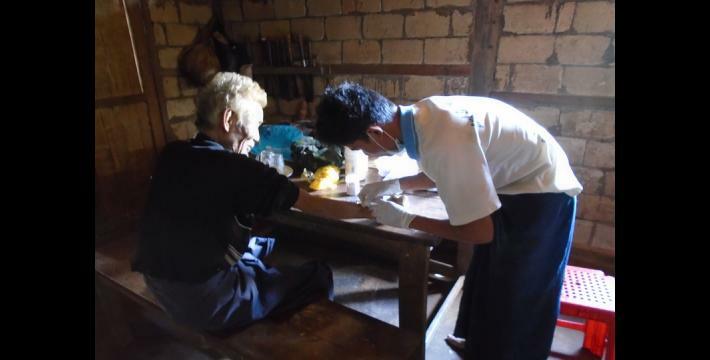 As this patient feels uncomfortable to walk [to travel to the KNU medical service location], the KNU health worker have to come to him and give the treatment. There are 18 displaced villagers in KNU controlled area of eastern Thout Yay Khant village, Thandaunggyi Township, Toungoo District because of Tatmadaw’s activity [attack] in 2006. These villagers came back to their home villages after the 2012 preliminary ceasefire was signed between the KNU and the Tatmadaw. In the rehabilitation of these 18 villages, which are located in the KNU controlled area, the KNU has not provided any clinic or hospitals for them from 2014 until 2017. Thus, the villagers encounter difficulty whenever they feel sick. Even though the KNU has health workers, they do not have enough health workers. Moreover, there are also not enough medicines. The KNU has KNLA health workers and the Backpack Health Workers’ Team (BHWT) who are giving treatment to villagers but there are still not enough health workers. Due to this reason, the KNU health workers are not able to address all villagers [in the KNU controlled area]. 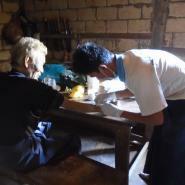 Moreover, as there are also not enough medicines, the KNU health workers find it difficult to treat the patients. Some villagers face difficulty with accessing the KNU healthcare services because the places where they live are very far from the KNU clinic. Thus, in 2016-2017, the BHWT came to offer treatment to the villagers with the medicines that they have. However, the BHWT has not been able to provide treatment to every village. On September 10th 2017, the KNU headquarter healthcare service for special eye treatment came to Yay Tho Gyi village, Htantabin Township, Toungoo District and Htoe Lwee Wah High School which is located between Zee Phyu Kone and Taung Kone. They came to these villages and provided free eye assessment as well as treatment for cloudy cornea. The treatment took 10 days in each of these places. Operation Commander Kyaw Kyaw Lin from Southern Commands Headquarter [of Tatmadaw] came to inspect the group of the KNU health service of eye treatment which was led by eye specialist Dr. Saw Nay Hser. Villagers in Thandaunggyi, Toungoo District secure their livelihood by farming and plantation which they mainly work on in seasonal plantations such as cardamom, coffee, durian and rubber. Due to abnormal weather conditions, seasonal crops such as durian, cardamom and dog fruits gave less fruits compared to last year, so villagers are face difficulty. The price of cardamom is also not stable [sometimes going up and sometimes going down]. Moreover, one of the factors that makes the situation even worse is that wild animals have also destroyed the cardamom plantation. So, villagers did not earn enough to cover their expenses. The animals that destroyed the plantation are rodents, wild boar, deer and rusa. Villagers had never experienced the destruction of the cardamom plantation by animals prior to 2014. They started to experience this in 2016-2017. The cardamom plantation owners have to loan money from the customers in order to buy foods such as rice, oil, fish paste and house chore ingredients for hired workers. But after they finished harvesting the cardamom, the customers that they borrowed money from refused to buy cardamom at market value, they do not want to give a fair price. For example, if the price of cardamom is 12,000 kyat ($9 US) per viss (1.633 kgs), the customers/traders only give 7,000 kyat ($5.2 US) per viss so this really push the villagers into hardship. Some villagers in Leik Tho area had already picked all their cardamom fruits in August [when it is not yet time to harvest them] because animals destroyed their cardamom plantation. However, the cardamom fruits that had been harvested [in August] were still young so the customers only bought the cardamom with half of its original price. Alternatively, the villagers secured their families’ livelihoods with the income that they had received from their plantation work. They have to cover all of the expenses of education, healthcare and other needs. Due to these reasons, villagers did not earn enough to cover their expenses. All of the villagers in Thandaunggyi Township do not have plantations. Therefore, villagers that do not have any plantation land go to work for villagers that have plantations to do odd jobs. They have enough food to eat on the day that they have work. Since there was a problem with the cardamom plantation, daily workers who work on cardamom plantations were only paid for 4,000-5,000 kyat ($3- $3.7 US). This caused a problem with their livelihood because the stock price is also high [in Burma/Myanmar]. A decrease in the income of the villagers also negatively impacted on store keepers. According to a store keeper in Maung Nweh Gyi village, Thandaunggyi Township, there are still some villagers who have not paid for the money that they borrowed prior to the harvest of their seasonal plantation. The retail sellers [villagers] were also concerned about what is going to happen with the price of the essential goods and products in the next year. They assumed that the price can rise up sharply. The villagers of Nan Thar Kone village, Kyun Kone village, Ywar Gyi village and villages in other village tracts in Htantabin Township, Toungoo District who secure their livelihood on rubber plantations also faced difficulty with the price of rubber because one pound of rubber was only around 1,000 kyat ($0.7 US). Some rubber plantation owners had to close down the rubber work due to the problem with the price of the stock. Therefore, Nan Thar Kone and Kyun Kone villagers from Htantabin Township who do not have any plantations have mostly left their villages to go work in rural and remote areas in Sagaing Region. They do logging work such as selling bamboo and wood as well as other odd jobs. Some female villagers have left their homes and migrated to other countries and cities in Burma/Myanmar such as Toungoo, Yangon and so on. They commonly work in tea shops or wealthy people’s houses as house maid in order to support their families. They decided to choose [to migrate and find job opportunities elsewhere] because they do not have any land in their area. Villages in Maung Nweh Gyi village tract and remote areas mostly rely on plantations to secure their livelihoods. However, they have no guarantee from the Burma/Myanmar government and the KNU [it can be confiscated anytime]. On September 28th 2017, the government authorities of the Forestry Department officer, Land Measurement Department officer, Agriculture Department officer, including the clerk called Saw Hla Bwe Htoo and administrator of Muang Nweh Gyi village negotiated to financially support the villagers with planting cardamom. On September 29th 2017, the village administrator and the ten-household leader sent the list of the villagers’ names and the estimated acres of the plantation land to the respective government departments such as Forestry Department, Land Measurement Department and Agriculture Department without any consultation with villagers. Due to this reason, a Maung Nweh Gyi villager raised his concern that their land will be later confiscated [by the authorities]. With regards to military activity in Thandaung Myo Thit, Maung Nweh Gyi village tract, Taw Pyar Gyi village, Si Pin K’Lay village tract in Thanduanggyi Township, Toungoo District, there is the Bu Yin Naung Military training school located in Bu Yin Naung Military Town in Thandaunggyi Township. IB #26 is active around the areas from Thandaung Myo Thit to Taw Pya Gyi army camp, and MOC #13 and LIB #599 are respectively active among Maung Nweh Gyi village, Nan Chein Kwin village and Taw Pya K’Lay village. MOC (Military Operation Command) #13 also patrolled among the villages around Baw G’Lee area. MOC [#13] Commander based their troops in Baw G’Lee and the (Operation Commander (OC) Commander was based in P’Leh Wa area. The battalions from LIB #591 to LIB #599, under the wing of MOC #13, rotate their troops in every four months. Moreover, they sent rations to their bases in every month. The rations were sent from Toungoo to Thandaung Town to Bu Yin Naung Military training school and SB (Support Battalion) #930 army camp and the rations were sent by military trucks. When they were transporting rations, the Tatmadaw provided security guards along both of the left and right sides of the road. The battalions, MOC #13 and LIB #599, that were based in C--- village, D--- village and E--- village, Thandaunggyi Township were still active in the period between September and November . The army camps that they were based in are situated near villages. 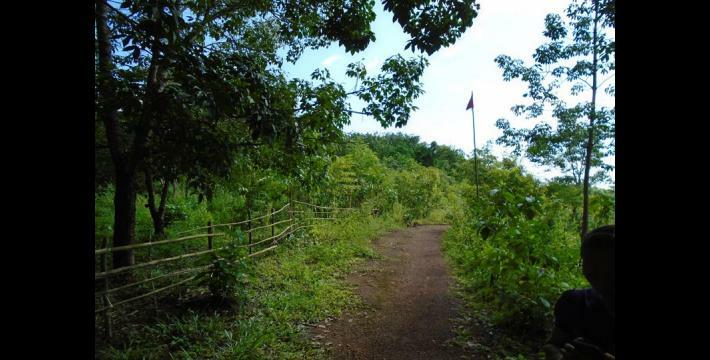 When the LIB #599, which is led by Commander Nay Myo Min, was fencing their army camp, they cut the woods and bamboos from villagers’ plantations so villagers’ cardamom and coffee plants were damaged by the woods and bamboos that fell down on the plantation. 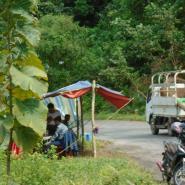 Moreover, when they cut the woods, they also cut villagers’ durian and dog fruit plantations. Villagers already reported the case to the village administrator but the villagers had no idea whether the administrator reported the case [to authorities] or not. Villagers were neither consulted nor compensated for the damage. They also cut the wood into pieces with chainsaw. 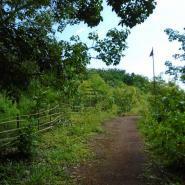 But, villagers were not sure whether they will build the army camp. The Tatmadaw soldiers neither asked permission from the land owners nor paid for the wood that they cut. The wood and bamboo that were cut down by the Tatmadaw caused a problem to the villagers who needed to pick the crops. According to the C--- villager, LIB #599, under the wing of MOC #13, came to check the KNU’s activity while they were giving the treatment in the village. The Bu Yin Naung Military training school held a Tatmadaw Company Commander training from October 19th to 21st 2017. During the military training, they actually shot heavy weapons and it fell down to the villagers’ plantations such as cardamom or other plants. Even though the weapons did not fall on the villagers, it caused villagers to feel intimidated to work in their plantation. Regarding shooting heavy weapons, the Tatmadaw battalions which are under the wing of MOC #13 and village administrator did not notify the villagers so it was dangerous for the villagers. Cantonment Area Commander General Soe Tint Naing, G 1 Thein Htike Oo, Thandaunggyi Township general administrator Thura Htun Lin, IB #26 Battalion Deputy Commander Nyi Nyi Thwin and other Tatmadaw soldiers came to the KNU taxation gate which was led by Bo Saw Ar Leh from the KNLA (Karen National Liberation Army) Battalion #5, Brigade #2 on September 15th and October 26th 2017. They [Tatmadaw] came to pressure and threaten the KNU to withdraw their gate and not to tax. The Cantonment Area Commander General Soe Tint Naing of Bu Yin Naung Military Camp came with lots of Tatmadaw soldiers to Bo Saw Ar Leh’s house, who was in charge of the KNU taxation checkpoint. They threatened him that they would take action against him, or imprison him if the KNU continued to tax. 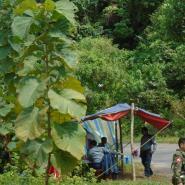 KNU has a drug checkpoint on the road from Nan Chin Kwin to Shwe Nyaung Pin, Thandaunggyi Township, Toungoo District. October 21st 2017, LIB #599, under the wing of MOC #13, Deputy Commander Nyi Nyi Lwin and Captain Nay Lin Aung and Captain Sit Naing Oo and other 15 soldiers came to the KNU’s drug checkpoint, which was led by the Battalion Commander Bo Saw Thidar Mya of Brigade #2, without prior notification They [Tatmadaw] gave pressure and threatened the Commander Bo Saw Thidar Mya to remove the KNU drug checkpoint immediately. The Code of Conduct that is stated in the preliminary ceasefire agreement which was signed in 2012 includes the mutual respect between Tatmadaw and KNLA in order to avoid conflict. However, the LIB #599 Deputy Commander Nyi Nyi Lwin’s group broke the rule and, on October 21st 2017, they arrived to the KNU’s drug checkpoint with the trucks that were owned by the villagers without notifying the KNU. As Tatmadaw did not inform the KNU/KNLA that they would be coming to the KNLA’s area, villagers were concerned and worried that the fighting will break out again because they [villagers] witnessed the above incidents. Similarly, on October 26th 2017, the IB #26 Deputy Commander Nyi Nyi Thwin, Thandaunggyi Township police head Christopher and Thandaunggyi Township general administrator Thura Htun Lin came to the KNU taxation gate, situated on the road from Thandaunggyi to Toungoo, in Shwe Nyaung Pin village, Taw Pyar Gyi village tract, Thandaunggyi Township, Toungoo District. They came to the KNU gate and told KNU/KNLA Bo Saw Ar Leh to remove or share half of the taxed profit with them. However, Bo Saw Ar Leh refused to do this because he could not do as the Tatmadaw’s requested unless he was authorised by the above KNU. 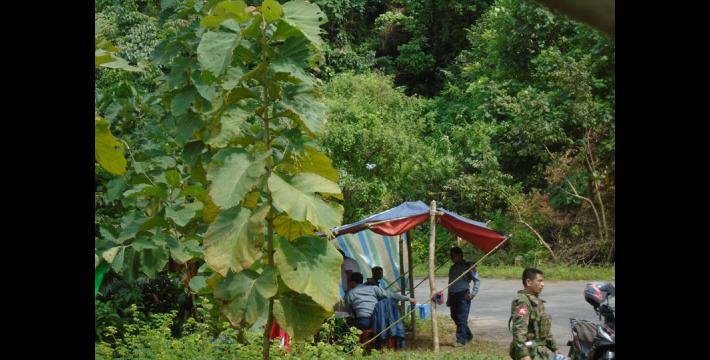 Therefore, the Tatmadaw established a checkpoint which is 100 yards far from the KNU checkpoint. Since the Tatmadaw placed their troops in the checkpoint that is near to KNU checkpoint, it caused the KNLA soldiers a problem and it brought a big concern to villagers that fighting will break out between the KNLA and the Tatmadaw. On October 9th 2017, the Tatmadaw troops that are under the wing of MOC #13 came to the KNU taxation checkpoint in N’Sat N’Maing (22 miles) area, T’Pin Gyi village tract, Thandaunggyi Township Toungoo District. The Tatmadaw came to the checkpoint and the Company stayed with the KNLA in checkpoint. They came with lots of [military] equipment and told the KNLA soldiers not to keep any weapons or equipment with them in the checkpoint. According to one of the F--- villagers, Tatmadaw’s pressure on the KNLA could affect their long term relationship. Land confiscation took place in both Thandaunggyi Township and Htantabin Township in Toungoo District. Land was confiscated by private companies, the Burma/Myanmar government and Tatmadaw. LIB #603, which is based in Leik Tho Town, Thandaunggyi Township confiscated villagers’ land in 2006 to extend the battalion’s area and build a place for Tatmadaw and government staff. However, the land has neither been returned nor compensated to the villagers. On August 10th 2016, Thandaunggyi Bu Yin Naung Military training school arbitrarily confiscated 1851 acres of villagers’ plantation land in Shouk Pin Chaung village tract, Htantabin Township. In order to get their land back, villagers reported the case to respective government’s departments, including Ministry of Defence. Furthermore, a team of villagers cooperated with a group that is working on land issues to submit a complaint letter to Tatmadaw generals and Ministry of Defence in order to get back the land that was confiscated by the Tatmadaw. G--- villagers were informed by one of the Majors from the Bu Yin Naung Military training school after a consultation meeting that took place in July 2017 in G--- village, Shouk Pin Chaung village tract, Htantabin Township that the land that were confiscated will be returned to the villagers. However, there has neither been any response from them nor any action to remove the signboard that indicates “the confiscated land”. According to one of the G--- villagers, the situation is still unclear. In addition, villagers’ land in Shouk Pin Chaung village tract that has been confiscated since 1993 by Ministry of Agriculture, Livestock and Irrigation, was later on transferred to other respective departments in the Agriculture Department and Ministry of Industry #1 for long-term plantation and stone production projects. After 2012 [year of the preliminary ceasefire], villagers whose land had been arbitrarily confiscated have started writing complaint letters to Burma/Myanmar government authorities and fencing their land as they believe that after the ceasefire, the situation will be more transparent. On October 24th 2017, villages gathered to plant seasonal plantations and to fence their land in order to get back their land. The government should upgrade the quality of the education system as well as the quality of teachers for the 2017-2018 academic year. Teachers should teach the students effectively and understand the educational situation of the students. The government should provide adequate healthcare in rural and remote areas such as building clinics, recruiting health workers and distributing enough medicine. The government should be able to control the price of the essential products in consideration of the villagers’ livelihoods [to make sure that they can access basic goods]. Moreover, the government should provide job opportunities for unemployed citizens. The Burma/Myanmar government and the KNU should implement peace, with full access to justice, righteousness and equality, but not a fake peace process. The Burma/Myanmar government and the KNU should address the land issue to guarantee the land of villagers and to prevent villagers [from land confiscation]. Even though human right violations have decreased in 2017 compared to 2016, there are still some places where human right violations have happened. To resolve this problem, every respective civil organisation should get involved to address the issue together. All conversion estimates for the kyat in this report are based on the 18 March 2018_official market rate of 1,335 kyats to US $1.